It's been a while since I've talked about my blogging favourites and since it is #followfriday I thought I'd jump on the bandwagon and quickly plug some of my long term go-tos as well as some new finds. I'm trying to get my blog into more of a regular posting schedule but bear with me as I complete my final exams! Come two weeks time I'm all yours! But back to the favourites! For style I always go to Chloe @ The Little Plum. Her outfits are so effortlessly put together, she always has that little bit of personality in her outfits which make them very her and she's always uploading content - I don't know where she finds them time to shoot so many OOTDs! My favourite post of her's recently has been an OOTD called Waistcoat Lovin'. For food I've been a little obsessed with Amanda @ Rhyme and Ribbons blog. We all know I look cooking and reading recipe posts and I have now tried a few of her recipes and they were DELICIOUS. My favourite one I've tried has been the Chorizo, Chicken and Potato Open Top Pie. Not even joking, it was so good I made it twice in a week. She also just wrote a beautiful post on the story behind her engagement ring which made me a little emosh. For a little bit of advice I always head on over to Holly @ A Branch of Holly. She writes fantastic motivational posts on topics such as organisation, blogging and careers and is genuinely such a lovely girl. I found her post on How to Create Something of Value really interesting. As a Scottish blogger I'm always on the look out for some bloggers a little bit closer to home! Lisa @ China Doll Diaries and Anastasia @ Natbeesfashion are both wonderful Scottish bloggers with such lovely content. I especially like Anastasia's wanders around Aberdeen as they always inspire me to find beauty in the gray city. Also how beautiful does she make these eggs look?! For a little giggle and some brilliantly written life anecdotes (think Bridget Jones) I like to head over and read some of Charlotte @ Smudgeness. She posts witty ditties about her dating life but they're also very thought-provoking and some of the best written blog posts I've read. "I Should Have Expected You To Have A Past" has been one of my recent favourites of hers. And finally is Ruby @ The Fashion Antlers. Ruby has such unique style and strikes me as such an interesting person. She is also a bass player in a band and is blogging about organising her upcoming wedding on a budget. As I'm such a nosey parker - I'm enjoying reading along the way! And woah, I was literally overwhelmed with tweets from guy bloggers who I had never found or people recommending them! So expect a few more lads on my favourites in the future as I'm already loving read That Gent Mark's content, as well as The Bearded Bakery. 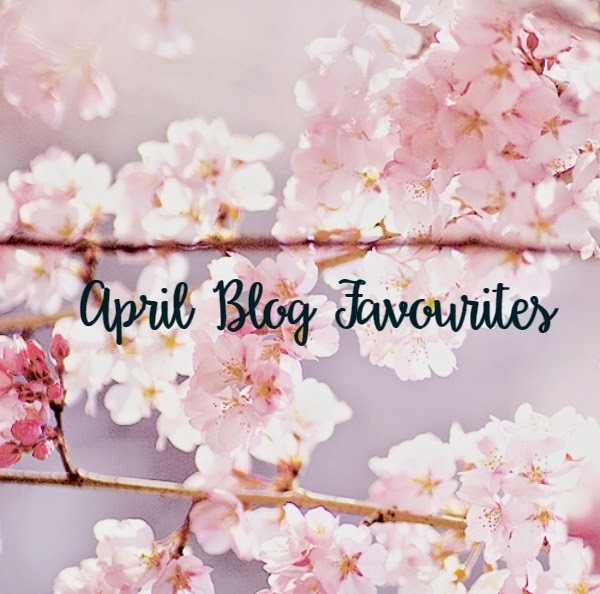 So that's my blogging buddy favourites for this month - please go and check them all out! Shall I make this a monthly thing? I love finding new blogs so maybe you will too! Who are your favourites? Hey Mary! Thanks so much for your lovely comment! Awesome, I love finding more Scottish bloggers! And there totally is a shortage of male bloggers, where are they hiding?! Yey are you a Scottish blogger too?! Will have to check out your blog :) Haha yes - since tweeting that I've found a good few though!